Encounter is a collaborative multilingual media project by Engaged Anthropology – a gradually expanding network of social anthropologists and students of Berlin universities, as well as artists, activists and journalists from various countries. Together we develop contributions on socially relevant questions around the issue of “encounter”, which we address from various angles. Dialogue, exchange and respect for the other’s opinion are the cornerstones of the project. Our goal is to create a multitude of perspectives for migration-related issues in order to counter prejudice and generalizations regarding subjects such as religion, identity, gender and culture, which are currently emerging or have already emerged in the public sphere. Collaborative work is the key element of the contributions that will be published on our blog and in our printed magazine. The contributions (article, essay, poetry, photo project, film project, soundscape, graphic novel, illustration etc.) can either be created collectively in a multi-perspective or multi-vocal manner, or one author can depict the perspective of others, attempting to synthesize or critically discuss them. The dialogical process during research, writing, filming or drawing is thereby emphasized as much as the final contribution itself. The blog and magazine will be published in English, German, Arabic and Farsi. All contributions can be submitted in either of these four languages. Lilas Al Loulou is from Syria, where she studied English. She is also trained as a psycho-social worker and counselor. She has been working with refugees since 2014 in Egypt and continues her work in Germany being engaged in many different projects. She speaks Arabic, English and she is learning German. 2017 is her third year in Germany and she is trying to make the best of it. 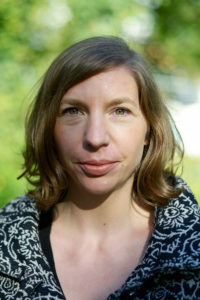 Judith Albrecht works as a social anthropologist and documentary filmmaker in Germany and abroad. For her fieldwork and film projects she spent long periods of time in Iran, Tanzania and Malawi. After the Libyan revolution she started to work with the Libyan women’s’ movement in Benghazi. The thematic focus of her work is gender and religion, social movements, conflict, violence and memory. The co-founder of the project group “Deutsch im Asyl” and “Memos e.V.” employs diverse approaches in the investigation of social and political upheavals and the impact it has on the life stories and biographies of the people involved. Her recent research project focuses on “Grief, trauma and social justice in Germany”. 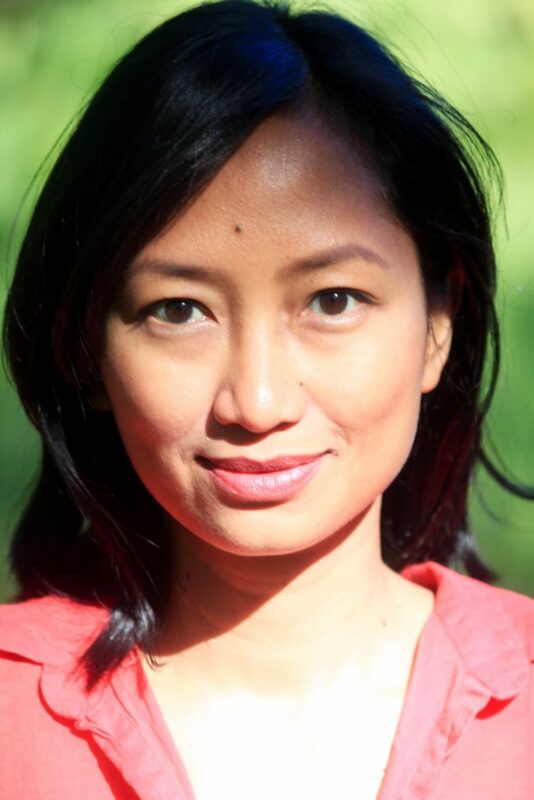 Victoria Sakti is a social and cultural anthropologist whose work draws on her multidisciplinary and intercultural background. She wrote her Ph.D. thesis at the Freie Universität Berlin on the ways communities in Timor-Leste remember and deal with legacies of the Indonesian occupation. Having spent her formative years in Indonesia, in the USA, and in Europe, she is keen in exploring the lingkages of transnational migration, memory and their related emotions in her collaboration with the Encounter-blog. She is co-founder and board member of Mauerpark Institute and is currently a postdoctoral fellow at the Max Planck Institute for the Study of Religious and Ethnic Diversity in Göttingen, Germany. Her current research focuses on ‘ageing across borders’ and in the context of forced displacement. 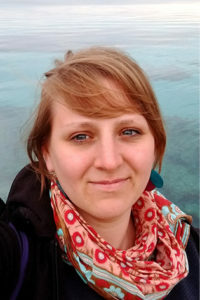 Sarah Fichtner was born in Berlin, where she works as a freelance social and cultural anthropologist, researcher, lecturer, consultant and documentary filmmaker. She has participated in a number of research projects on education in Sub-Saharan Africa and has spent a whole year among pupils and teachers at a rural primary school in Benin. She is interested in learner-centred, participatory pedagogy and has assisted teacher training projects in the Democratic Republic of Congo. 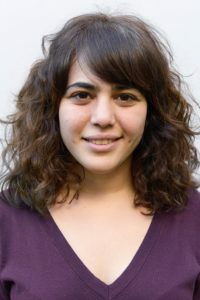 Currently she is engaged in a research project on the everyday life for young children in collective accommodation centres for refugees in Berlin and she has been involved as a volunteer in the initiative “Tango Berlin Hilft”. Sadaf Farahani is a filmmaker, cultural activist and translator based in Berlin. She worked as staff photographer for several newspapers and magazines in Iran and as a freelance photojournalist/author with various international media before she moved to Germany in 2011. She is involved and very interested in immigration and integration related issues. 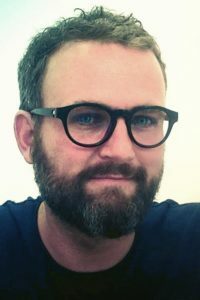 Thomas Stodulka’s work focuses on studying childhood and youth, stigma, marginality, and the interplay between culture, emotion, mental health, and illness. 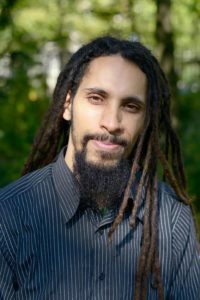 He conducted long-term fieldwork with street-related young men in Yogyakarta, Indonesia between 2001 and 2015 and he has directed various interdisciplinary research projects on the role of emotions and affects in ethnographic knowledge production. Beyond academia, he is a founding member of the Mauerpark Institut Berlin e.V, an independent cinema-café in Yogyakarta, Indonesia, a shelter for chronically ill youth and he is a proud associate of the Milas Vegetarian Restaurant and Workroom Yogyakarta (since 2001). Sadek Bouzinou is an engaged artist from Algeria. As an urban sociologist, he is used to observe the social phenomena of his country. Thanks to his music, the leader of the Algerian Reggae band Democratoz became a spokesperson of the Algerian youth. Through images, sound and text, he speaks up for the cause of migrants, education, and the environment. Recently, Sadek has attracted attention as a film-maker, giving a voice to the most vulnerable in his clips and short films. Alvaro Martínez, is a Berlin base illustrator and anthropologist from Bolivia. 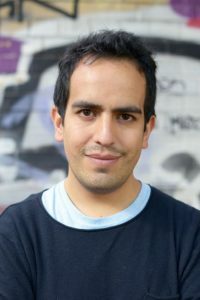 Born in 1985 he studied anthropology at the Bolivian Catholic University and focused his research on ritualistic and healing through symbols between Aymara people in the city of La Paz. As an illustrator his experience is focused in book illustration, graphic novel and character design. His illustrations were published in the Major University San Andrés of La Paz, where he published the graphic novel “La Chaskañawi” in 2012 and designed the image for the international colloquium “Roland Barthes Amateur”. He is the co-creator of the illustrated world of Rokooko and worked for the Spanish Editorial Santillana. He was graduated at the Pictoplasma Academy of Berlin and his work has been exhibited at the Urban Spree gallery and White Concepts Gallery in Berlin. His illustrations were showed at the Maxim Gorki Theater of Berlin. Franziska Knierim was born in Berlin and grew up on the Countryside. She is a student of Social and Cultural Anthropology and Political Science at Freie Universität Berlin. She joined the Encounter team via the Workshop “Picturing Encounter”. She is rather interested in the common grounds than the differences that come to light throughout encounters between people from all over the world. She speaks German, English, some Turkish and just started to learn Farsi. 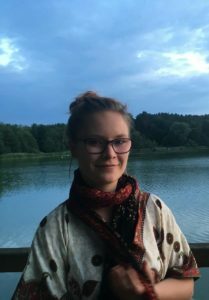 Irina is a PhD candidate in anthropology at Free University Berlin, focusing on emotions and self-making practices among girls in a school in Bali. She discovered anthropology “at home”, in Romania. Since then, she became interested in developing collaborative research methods and conducted ethnographic fieldwork in 2 high-schools (Bucharest & Berlin). 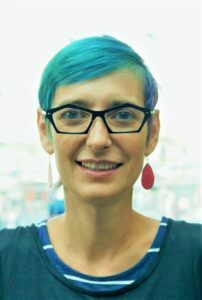 She is also a team coach certified in the Action Reflection Learning® methodology and was involved in several educational projects facilitating synergic teacher-student-parent teams in Romanian high-schools. She is passionate about teams and enjoys organizing public encounters associated to our blog and magazine. 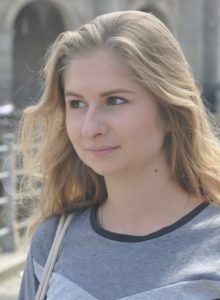 Palina comes from Belarus and moved to Berlin in 2016 to study Cultural Anthropology at the Free University of Berlin. She speaks Russian, Belarusian, English, German and Spanish, has a bunch of volunteering experience in international organisations and leading a team. In encounter Palina is involved in event organisation. 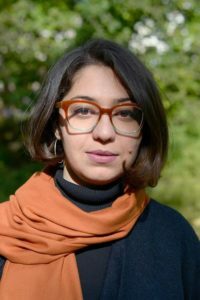 such as postcolonialism, intersectional feminism and social justice and has worked as volunteer and freelance researcher, editor and translator. Ina Schebler films, writes, takes photos and studies Visual and Media Anthropology in Berlin. In her work, she focuses on political topics. 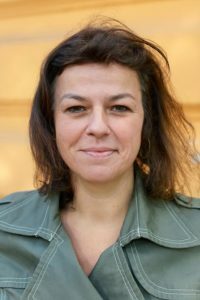 Since 2015, she has been involved in several projects concerned with various topics related to forced migration. These include for instance work with rejected asylum seekers in Amsterdam, people who fled to Germany after World War II, and asylum seekers as well as volunteers in refugee camps on the Greek island Chios. 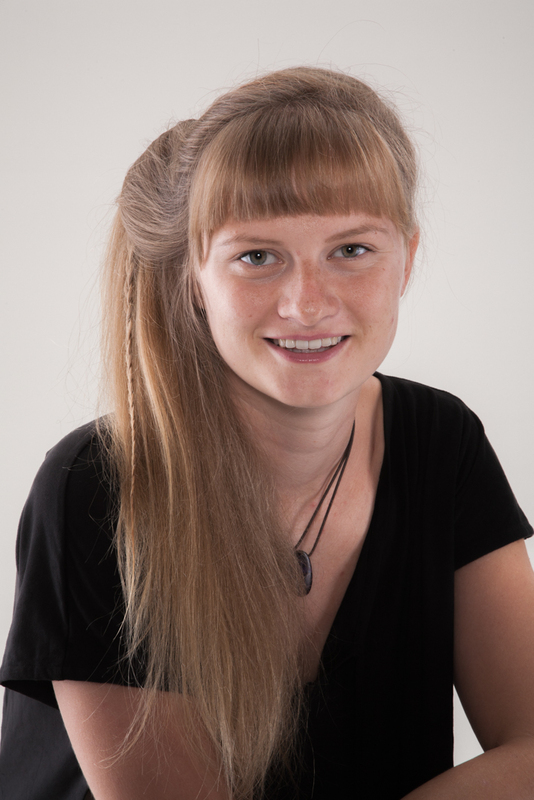 Clara Kaiser is from Munich and studies Social and Cultural Anthropology in Berlin. She is very interested in language and its potential to evoke understanding, connection and transformation. The issues of gender as a spectrum, sustainability and intersectional discrimination are other fields of particular interest for her. Currently, she is learning Hebrew and Arabic and wants to gain experience in ethnographic filming in the future. Encounter is a project of the Mauerpark Institute. It is supported by the Robert Bosch Stiftung.